Palestinian medical sources in the Gaza Strip reported that three Palestinians were killed, on Thursday at dawn, while at least 15 were injured in a fresh wave of Israeli attacks against the coastal region. Israel said a ground invasion on Gaza “is only a matter time”. Israeli sources said that three Israelis killed early Thursday. 11 Palestinians, including children, have been killed, and more than 100 have been injured, since Israel launched its offensive on Saturday evening. Three Palestinians were assassinated in Khan Younis, in the southern part of the Gaza Strip, one of them was a Police lieutenant identified as Habis Masmah, 30. He was killed after the army fired a missile at him while driving his motorcycle near the zoo east of Khan Younis; his body was severely mutilated. Two fighters of the al-Qassam Brigades, the armed wing of Hamas were killed, and several residents were wounded in the attack; the slain fighters have been identified as Wael Haidar al-Ghalbaan, and Hisham Mohammad al-Ghalbaan. Five Palestinians, including a pregnant woman and three children, were also injured when the army bombarded a home east of Gaza City; all were moved to ash-Shifa Hospital. Four Palestinians, including one woman, were injured when the army bombarded Beit Lahia town, in the northern part of the Gaza Strip. Medical sources in Gaza reported that the number of Palestinians killed by Israeli shells in the latest escalation arrived to 11 while at least 100 residents have been injured. The Israeli army carried out more than 80 air strikes against different parts of the Gaza Strip, in addition to using heavy artillery and tanks shells. The slain Palestinians have been identified as Ahmad al-Ja’bary, 52, (leader of the al-Qassam Brigades of Hamas); his deputy, Mohammad al-Hamss, 30; Ranaan Yousef Arafat, 3; Mohammad Hani Kaseeh, 18; Isam Mahmoud Abu al-Ma’za, 19; Hiba Adel al-Mash-Harawi (six months pregnant), 19; Omar Jihad al-Mash-Harawi, 11 months; Mahmoud Abu Sawaween, 65; Habes Masmah, 30; Wael Haidar al-Ghalbaan and Hisham Mohammad al-Ghalbaan. Meanwhile, Israeli sources reported that three Israelis were killed, early on Thursday, when Palestinian shells hit two buildings in Kiryat Malachi settlement, two children were injured. Israeli military sources reported that Israeli paratroopers and members of the Givati Brigade of the Israeli military are heading towards the border with Gaza, the Palestine News Network (PNN) reported. Senior Israeli military officials stated that the Israeli army “will do whatever is needed to restore calm to Israeli towns in the south”. They added that the army the Givati Brigade, and paratroopers, held training over the last few months in preparation for an anticipated and potential ground offensive against Gaza. The military commanders said that invading Gaza is only a matter of time, and that this invasion will be a determining factor as it will conclude the current operation against Gaza. They further stated that the scale of this ground offensive will be much larger and wider than the three-week Operation Cast Lead that was carried out against Gaza starting on December 28, 2008, leading to the death of more than 1,419 Palestinians; thousands of residents were injured, including scores of wounded residents who died of their wounds later on. The vast majority of the casualties were civilians, including infants, children, women and medics. Israeli Prime Minister, Benjamin Netanyahu, addressed the Israelis on TV on Wednesday, telling the public that Israel is prepared and ready to expand its offensive against Gaza, referring to the possibility of a large-scale ground invasion. Meanwhile, the al-Qassam Brigades of Hamas, announced that, for the first time, it managed to fire a locally-made shell into Tel Aviv and said that the shelling comes in retaliation for the assassination of its leader Ahmad al-Ja’bari. The Brigades added that it fired more than 89 shells into southern Israel, while several resistance groups also claimed responsibility for firing shells into adjacent Israeli areas, including Be’er As-Sabe’ (Bir Shiva), Asqalan (Ashkelon) Rahovot and several other areas. The Brigades said that it fired a missile into Rahovot, south of Tel Aviv, leading to a two-hour power outage; Israel did not confirm or deny the issue. The escalation against Gaza started when the Israeli army invaded, on November 8, an area near Khan Younis, in the southern part of the Gaza Strip and killed a 13-year-old child identified as Ahmad Abu Zaqqa, while he was playing football with his friends. 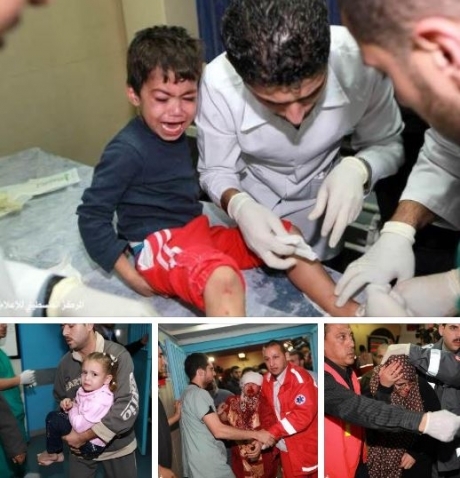 Two days after the killing of the child, Palestinian resistance fighters attacked an Israeli military patrol, Israel then started firing missile into civilian areas in Gaza killing four more Palestinians, including two children playing football. The situation continued to escalate leading to a large number of civilian casualties among the civilian population. Hamas declared the martyrdom of Ahmad Jabari, the senior commander of the military wing of Hamas in the Gaza Strip, alongside his bodyguard, Mohammed al-Hams, in an initial Israeli strike on a car in Gaza City. Ahmad Jabari, the operational commander of Hamas’s armed wing, the Ezzedine al-Qassam Brigades, was killed on Wednesday alongside his bodyguard, Mohammed al-Hams, in an initial Israeli strike on a car in Gaza City which took place just before 4:00 pm (14:00 GMT), the Islamist movement said in a statement. The statement said Jabari "was a senior Hamas operative... directly responsible for executing resistance operation against the occupation in the past number of years," adding that he survived several assassination attempts, and he had spent more than 13 years in the Israeli prisons. The Hamas movement "mourns the martyr leader Ahmed al-Jabari, and his bodyguard the martyr Mohammed al-Hams, and holds the Israeli occupation fully responsible for this heinous crime, and stresses that it will pay a heavy price by targeting resistance leaders and symbols of our people" the statement added, warning the occupation of the serious repercussions for this cowardly assassination. The movement also confirmed that "the Palestinian people and the resistance factions will not stand idly before these Israeli crimes," calling for revenge vowing retaliation. It stated that the movement and its military wing will continue to defend its people against this aggression and Israeli terrorism. "We promise the blood of the martyr Ahmed al-Jabari and the blood of all our martyrs that we will always defend our people and our land and our holy places .. and we will continue Jihad and resistance until victory and liberation," the statement stresses. A series of Israeli air raids on Gaza Strip on Wednesday killed seven Palestinians including an 11-month-old baby and a three-year-old child and the chief commander of the Qassam Brigades, the armed wing of Hamas, Ahmed Al-Ja’bari. Medical sources said that seven Palestinians were killed so far in the raids, including four of the Qassam Brigades, while 20 others were wounded. The raids targeted different areas in north, central, and south Gaza Strip with repeated raids on Zaitun suburb to the south of Gaza city. Hebrew daily Maariv said that Israeli chief of staff Benny Gantz was personally supervising the operation that was dubbed “Cloud Pillar”. A homemade rocket fired by Al-Qassam Brigades, the armed wing of Hamas, landed at a late hour Wednesday in the occupied city of Tel Aviv for the first time since Palestine came under occupation. In a communiqué, the Brigades stated that at 11:57 pm yesterday, one of its rockets targeted Tel Aviv in response to Israel's crimes in Gaza and the assassination of its commander Ahmed Jabari. "Al-Qassam Brigades has committed itself to turn the lives of the Zionists into hell and to make them regret the moment they thought of assassinating our brave leader, and the days are enough to prove we are right," its statement underscored. Three resistance fighters from Hamas's armed wing Al-Qassam Brigades were killed in an Israeli air raid on Thursday morning on Khan Younis district south of Gaza. Palestinian medical and local sources told a reporter for the Palestinian information center (PIC) that the martyrs are Habes Masmah, Wael Ghalban and Hisham Ghalban. 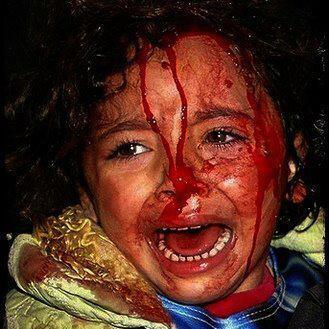 Consequently, the death toll in Gaza has risen to 11 Palestinians including children and women. The raids also rendered more than 93 others wounded. Israeli warplanes and drones have been still overflying intensively the densely-populated Gaza Strip carrying out deadly raids since yesterday evening. For his part, deputy head of Hamas's political bureau Mousa Abu Marzouk said that other top leaders of Al-Qassam Briageds survived assassination attempts during Israeli aerial attacks on Wednesday. According to Abu Marzouk, among those resistance leaders were Marwan Issa and Ra'ed Attar. He also mourned the death of Al-Qassam commander Ahmed Jabari and described him as a great leader and hero. Four Israelis killed by Qassam rockets "Kiryat Malachi"
At least four Israelis were killed and two others were seriously injured in a bombing carried out by al-Qassam Brigades on Thursday morning, in "Kiryat Malachi" in response of the assassination of al-Qassam Brigades commander Ahmed Jabari yesterday. According to Hebrew radio, "southern Israel" was exposed to what it called "heavy bombardment"; where an Israeli building of four floors in "Kiryat Malachi" (about 40 kilometers from the Gaza Strip) was subjected to bombardment of direct Palestinian rockets, which resulted in the killing of four settlers and the injuring of others critically. Meanwhile, Israeli public transportation vehicles in the occupied region of the Negev witnessed an overcrowding, where thousands of Israelis started to flee from the occupied Negev region to escape from the Palestinian resistance's rockets, where two hundred rockets were fired, causing injuries and panic among the Israelis. The Israeli railway company was forced according to the Hebrew radio, to provide more trains on lines heading from southern Palestine to central Palestines, after the resistance escalation in targeting new areas, particularly "Tel Aviv." The company was also forced to use additional buses to help university students to have access to their places of residence, after the study was suspended in all Israeli educational institutions of in the Negev. In the same context more than thirty-five Israelis were injured, where they were taken to the hospital, due to the resistance missiles, in addition to damaging properties in some Israeli communities. In the same time, the Israeli Department of Homeland Security directed the residents of areas adjacent to the Gaza to remain in the bunkers and shelters, and warned them not to go to their workplaces, while shopping centers will be closed. Five Palestinian civilians were killed on Wednesday night as Israeli fighter jets continue to pound the Gaza Strip; the death toll now reached seven by Israeli attacks targeting the coastal region today. Palestinian sources announced that Israeli fighter jets and unmanned drones conducted a number of air strikes targeting central and southern Gaza Strip leading to the death of five civilians. The sources added that the Israeli shelling targeted residential areas in Gaza City and Khan Younis. The Health Ministry in Gaza reported that among those killed on Wednesday evening are Ahmad Misharawi, 11 months old; Ranan Arafat, 7 years old; Issam Abu Izah, 23; and Mohamed Al Kasih, 19. The Ministry added that 40 Palestinian were injured, including several residents who suffered serious injuries. Palestinian resistance groups in Gaza responded by firing home-made shells and rockets at Israeli targets near the Gaza Strip. Earlier on Wednesday afternoon two Palestinians were killed, and four others injured, one seriously, by Israeli air strikes targeting Gaza city. Local sources said that an Israeli drone fired a missile at a car near Gaza City hospital killing Ahmad al-Ja’bari, 52, and Mohamed al-Hiems, 30. Al-Ja’bari was a commander of the al-Qassam Brigades of the Hamas movement. Another air raid targeted a civilian car near the Gaza city port on Wednesday afternoon. Local sources said that two men who were inside the car were injured and moved to a nearby hospital. Furthermore, Israeli F16 fighter-jets fired missiles at residents’ homes in Khan Younis, southern Gaza Strip, no injuries were reported. On Tuesday, a resistance fighter died of wounds suffered last Saturday during the latest wave of Israeli military escalation against the coastal region. The death of the seven today brings the number of Palestinians killed by the Israeli army since Saturday to 17. 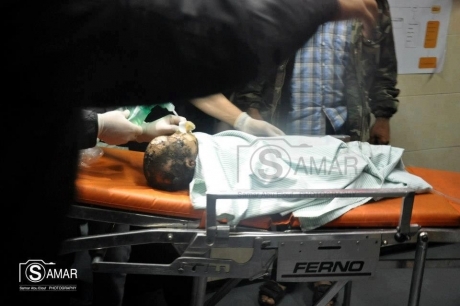 While dozens of residents, including children, were injured by Israeli fire and shells in the coastal region. Israel continues its military offensive against the Gaza Strip, killing on Wednesday evening alone, eight Palestinians, and injuring more than 60, some seriously. 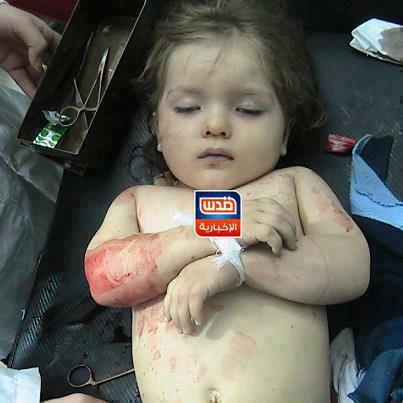 Children and infants are among the casualties. The most recent escalation started when the Israeli Army assassinated Ahmad al-Ja’bary, the leader of the al-Qassam Brigades, the armed wing of Hamas, and his deputy Mohammad al-Hamss. Their car was targeted by an Israeli missile while driving in the center of the overpopulated city of Gaza. The army carried out at least 50 attacks in different parts of the Gaza Strip leading to the death of eight Palestinians, while at least 60 were injured, some seriously. Medical sources in Gaza reported that besides Al-Ja’bary and al-Hamss, Israeli shells also killed Mohammad Hani Kaseeh, 18; Isam Mahmoud Abu al-Ma’za, 19; Hiba Adel al-Mash-Harawi, 19; Ranaan Yousef Arafat, 3; Omar Jihad al-Mash-Harawi, 11 months; and Mahmoud Abu Sawaween, 65. Palestinian Minister of Health in Gaza, Mofeed al-Mkhallalaty, stated that what is happening in Gaza is “a comprehensive war launched by Israel against the civilian population in Gaza killing elderly children and infants”. He added that the latest escalation brings to mind the three-week Israeli war on Gaza that was launched by Israel on December 27, 2008, leading to the death of more than 1,520 Palestinians, including infants, children and women, while more than 5,000 were injured, dozens of which seriously. On his part, Israeli Prime Minister, Benjamin Netanyahu, stated that the offensive against Gaza, dubbed as “Pillar of Defense” will be expanded. Israeli Army Spokesperson, Avichay Adraee, stated in his Twitter feed that the war on Gaza has officially started, adding that Hamas leaders will be assassinated. He also said that leaders of other Palestinian groups will be eliminated, and that he is running the entire operation from his command post in Tel Aviv. The statements came after the army killed eights Palestinians, and wounded at least sixty in strikes and bombardment attacks targeting civilians areas in the coastal region. Some of the targeted buildings in Gaza were civilian homes and schools located on Gaza City, Rafah, and Beit Lahia. Public facilities and resistance centers were also bombarded. Israeli Army Chief of Staff, Benny Gantz, stated that he has approved the military offensive against Gaza, and added that he is personally leading the assault. On Wednesday at night, the army carried out three consecutive air strikes targeting areas in Gaza City, leading to several injuries and extensive damage to civilian property. 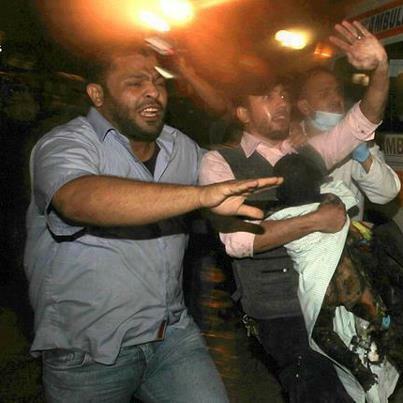 The army also bombarded the Gaza International Airport, in Rafah, in the southern part of the Gaza Strip. The Airport has not been operational since the beginning of the al-Aqsa Intifada in late September 2000, and was repeatedly bombarded and bulldozed by the Israeli army. Furthermore, Israeli soldiers fired several artillery shells into Khan Younis, in the southern part of the Gaza Strip; several shells hit al-Hoda Mosque in the city. Palestinian resistance groups in Gaza claimed responsibility for firing dozens of shells and Grad missiles into different Israeli areas, including Tel Aviv. Israeli sources claimed that 83 shells were fired into Israel, including Be’er Sheva (Be’er As-Sabe’), Ashkelon (Asqalan) and Sderot. Israel said that its “Iron Dome” system managed to intercept 17 shells, including two which were fired towards Ashdod, adding that more than 55 shells were fired, starting on Wednesday evening, towards Israel. 45 shells hit areas in the Negev, while several shells hit Lachish region, Eshkol, Ashdod and Beersheba leading to “anxiety attacks” among Israeli civilians. Back in Gaza, ninety civilians, including 10 women, and 15 children and infants, were injured and hospitalized due to Israeli bombardment to civilians areas, and at least eight Palestinians were killed in 55 Israeli strikes carried out between Wednesday evening an around 11:30 on Wednesday at night. Israeli TV, Channel 10, reported that Israeli Prime Minister, Benjamin Netanyahu, is holding talks with different world leaders, including U.S. President, Barack Obama, to ensure international support as Israel widens and intensifies its escalation against the Gaza Strip. Channel 10 reported that Netanyahu phoned Obama, and informed him on the details of the current Israeli military escalation against the coastal region. It added that Netanyahu will also be contacting several world leaders in an attempt to ensure support for Israel’s offensive. Netanyahu’s office stated that the Israeli Prime Minister “is deeply grateful to Obama” for understanding why the Israel decided to launch a large-scale offensive against Gaza. Netanyahu also phoned vice-president, Joe Biden, and E.U Foreign Policy Chief, Catherine Ashton. It is worth mentioning that Israel’s President, Shimon Peres, also phoned Obama, and told him that “southern Israel has been under rocket attack since last week”. 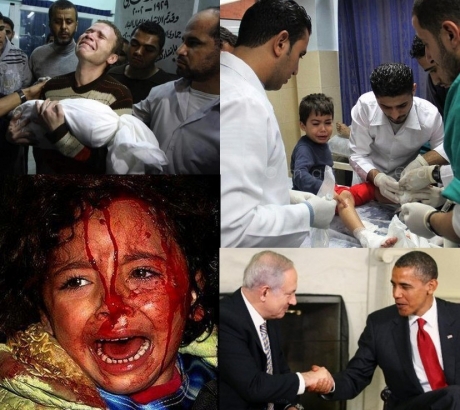 Obama said that he understands why Israel is carrying out its offensive against Gaza, and expressed full support to Tel Aviv. This is happening while Israel killed, on Wednesday, eight Palestinians, including children, and injured more than 85 Palestinians, including several children, infants and women. The slain Palestinians were identified as Hamas leader, Ahmad al-Ja’bari, 52; his deputy, Mohammad al-Hamss, 30; Ranaan Yousef Arafat, 3; Mohammad Hani Kaseeh, 18; Isam Mahmoud Abu al-Ma’za, 19; Hiba Adel al-Mash-Harawi, 19; Omar Jihad al-Mash-Harawi, 11 months; and Mahmoud Abu Sawaween, 65. Eighty-five Palestinians, including 17 children and 12 women, have been injured by Israeli fire and shells, while 14 of the wounded suffered very serious injuries and are currently in intensive care units in different hospitals in Gaza. On Thursday at dawn, three Palestinian fighters were assassinated in an Israeli air Strike in Khan Younis, in the southern part of the West Bank. The bodies of the slain fighters have been severely mutilated; two them were identified as Wael al-Ghalban and Habes Masmah. As Israel’s offensive is expanding, targeting different areas in the Gaza Strip, bombarding homes and crowded streets. Palestinian resistance groups in Gaza claimed responsibility for firing dozens of rockets and shells hitting nearby Israeli areas, in addition to an Israeli military base near Ashdod. Palestinian President, Mahmoud Abbas, sent on Wednesday at night an urgent letter to the Security Council, currently convening in India, asking the International Community to act on stopping the Israeli military escalation against the Gaza Strip. Eight Palestinians, including children, have been killed, and more than 85 have been injured, in a series of Israeli Airstrikes targeting Gaza. Abbas sent his letter via the Permanent Palestinian Observer at the UN, Riyadh Mansour, at his New York office. He tasked Mansour with contacting Arab representatives at the United Nations, in order to discuss the means to respond to the latest Israeli military escalation against the civilian population in the coastal region. On Wednesday evening, Abbas asked Arab League Secretary-General, Nabil Al-Arabi, to call for an urgent meeting of the Arab League in order to discuss the Israeli war on Gaza. Furthermore, Palestinian Ambassador to Egypt, Palestine’s Permanent Envoy to the Arab League, Barakat Al-Farra, told the government-run Palestinian News & Info Agency (WAFA) that Abbas contacted Al-Arabi requesting an urgent meeting of the Arab league. On the ground, medical sources in Gaza reported, on Wednesday at night, that eight Palestinians have been killed by Israeli shells in different parts of the Gaza Strip, while more than 85 have been injured, some seriously. The slain Palestinians were identified as Hamas leader, Ahmad Al-Ja’bary, 52, his deputy, Mohammad Al-Hamss, 30, Ranaan Yousef Arafat, 3, Mohammad Hani Kaseeh, 18, Isam Mahmoud Abu al-Ma’za, 19, Hiba Adel al-Mash-Harawi, 19, Omar Jihad al-Mash-Harawi, 11 months; and Mahmoud Abu Sawaween, 65. Israel said that the war on Gaza, dubbed as “Pillar of Defense”, is just starting and will be expanded. Israeli Prime Minister, Benjamin Netanyahu, Defense Minister, Ehud Barak, and Israeli Army Chief of Staff, Benny Gantz, have officially approved the offensive, and are guiding it. Israel threatened to assassinate all Hamas leaders, including political leaders, and leaders of resistance groups in the coastal region. Palestinian resistance groups continued to fire shells and missiles into adjacent Israeli areas in retaliation to the ongoing Israeli offensive, and managed to fire dozens of shells targeting different areas in the Negev, Asqalan, and several other areas. Armed resistance groups in Gaza said that they will not sit idle while Israel continue to pound civilian areas leading to dozens of casualties among the civilians, including infants and children. Israel also claimed that four Katyusha shells have been fired into southern Israel from the Sinai Peninsula in Egypt. No Injuries were reported.